I’m so excited about this issue. Things are going to get crazy! 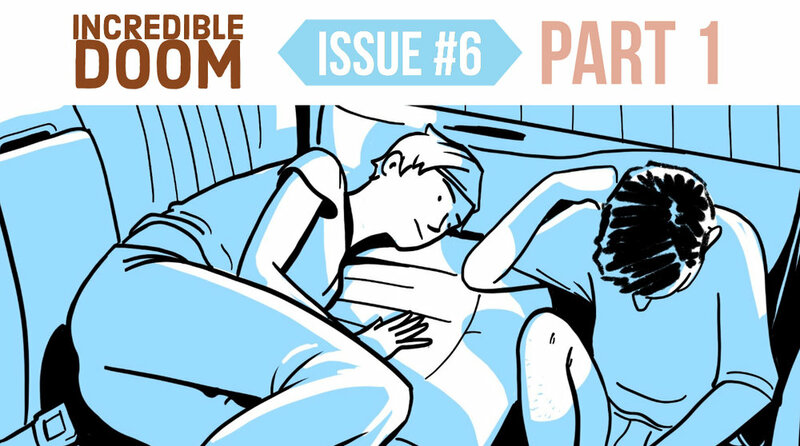 There’s a new backup story up for $10 members of the Incredible Doom Patreon. Tina gets stopped in the hall at school. Jesse Holden and I went into detail for Patreon backers about the inspirations, callbacks, and easter eggs in Incredible Doom issue #4. There are also alternate artwork.